»Road Trip To The Tranquil Diveagar Beach! Road Trip To The Tranquil Diveagar Beach! Diveagar is a beach town located just 190 km, from south of Mumbai. It is a peaceful and secluded village that gets most of its income from fishing settlements, coconut and betel nut farming, tourist services like restaurants, hotels and cottage rentals. Surrounded by beautiful Casuarina trees, Diveagar is a quaint and clean beach, where you might just find sea turtle eggs and Sand-bubble Crabs on the shore! You can also spot dolphins in the nearby Harihareshwar Beach. 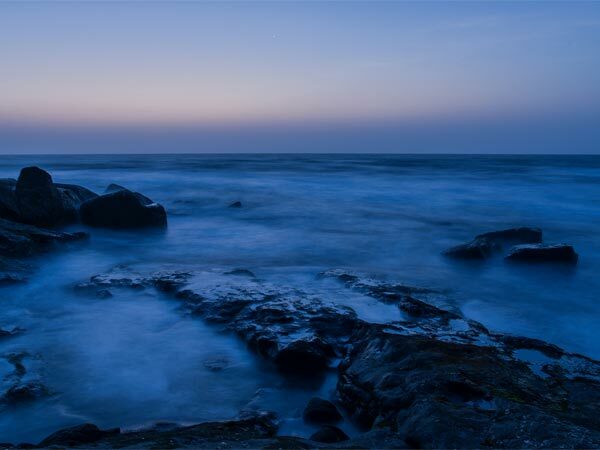 For a relaxed break for the daily monotony, head to the Diveagar beach! Read further to know about the many places that you can visit on the way and in Diveagar. This is the one simple route from Mumbai to Diveagar, that will take 4 hours to cover 189 kms. The planned township of Navi Mumbai, is located 22 km from Mumbai. A drive through the 10 km stretch of Palm Beach Marg at Navi Mumbai should be a beautiful experience since you can witness the views changing from grey buildings to blue beach and green surroundings. Utsav Chowk, Pandavkada Falls of the suburbs of Kharghar are other places of interest near Navi Mumbai. Perfect for adventure/nature enthusiasts like trekkers and bird-watchers, Karnala has something for all! The Karnala Fort is a sought after destination by trekkers, while the Karnala Bird Sanctuary located at its foothills is a place to be for people who enjoy bird-watching. Historically, Karnala Fort was built since it served as a fine strategic location from where enemies entering through Konkan Coast could be viewed. The Bird Sanctuary is home to almost 150 species of birds like Serpent Eagle, Peregrine Falcon, etc. The tiny village of Durshet is filled with lush greenery. It has a major historical significance. It was the place of warfield during the reign of Shivaji Maharaj, when he fought against Kartalab Khan. Sarasgad and Sudhagad are the two forts of Durshet, which came under the King's rule.These forts are now favoured trekking and rock climbing destinations, mainly for Mumbaikers. Kolad village is the place to be if you are an adventure bug! In Kolad, River Kundalika serves as the place for a fantastic experience of white water river rafting. The entire region is flooded with nature's beauty and just visiting the place itself is a treat to the eyes. The river rafting will happen over a stretch of 12 km on River Kundalika. Many local services offer good packaged deals for this river rafting. With crystal turquoise water and clean white sand which is surrounded by beautiful thickets of Suru (Casuarina) trees, Diveagar beach is a serene and untouched beach that makes for a relaxed weekend getaway. With delicious Konkan cuisine served in the resorts and restaurants that line the shore of Diveagar Beach, you can enjoy the beautiful vista of mother nature, along with your loved ones. Harihareshwar Beach is a picturesque place, which is nestled between four hills. It is located close to the Diveagar Beach and mustn't be missed if you visit Diveagar. Unlike the beach at Diveagar, Harihareshwar Beach has clear black sands. However, it is also very clean, pleasantly breezy and relatively untouched by commercialization. The idol of Lord Ganesha is of great importance at the Suvarna Ganesha Temple, located close to the beach. It is a 300 year old idol that is completely made of pure 24 karat gold! It weighs 1.3 kg and is 60 cm tall. Dedicated to Lord Vishnu, the Sundernarayan Temple is believed to be built during the reign of King Shilahar in the 13th century. It has a beautifully sculpted idol of Lord Vishnu, and is a must-visit if you're at Diveagar. Located about 20 km from Divegar Beach near the Murud Village, Murud Janjira is an ancient magnificent fort. It is said to be one of the strongest marine forts of India. The fort has 26 bastions and the most intriguing fact about these bastions is that they have remained in the same condition as they were when initially built centuries ago! A ferry can be taken from the Diveagar Beach to the Murud Janjira Fort, since it is built on an oval-shaped rock, that looks like an island.